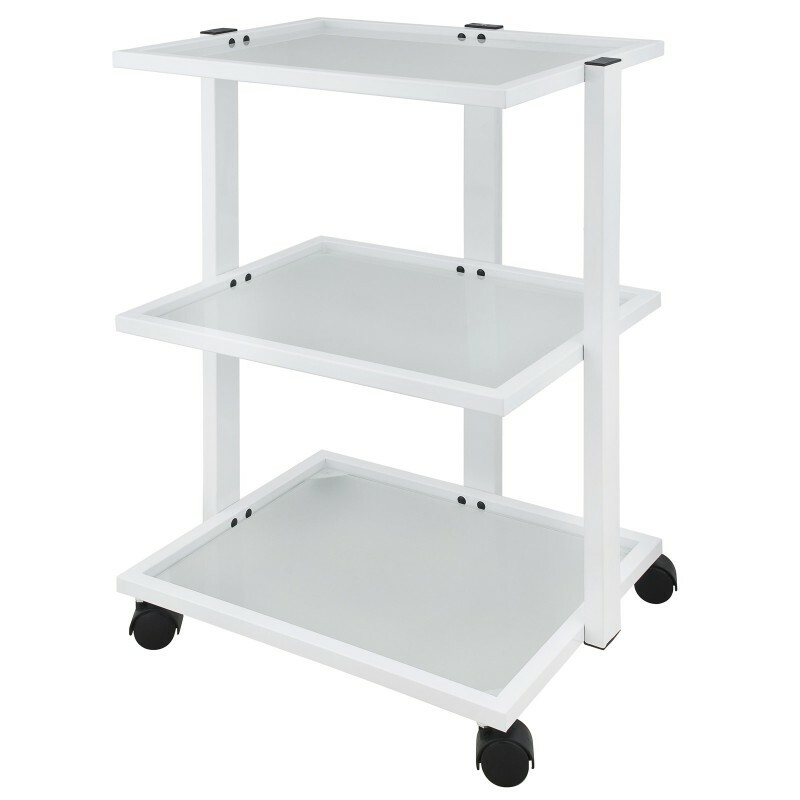 Metallic beauty trolley in white colour with a simple and practical design. It is equipped with 3 roomy translucent glass shelves to place the equipment. Full mobility thanks to its 4 wheels.